Hawaiian Hibiscus in yellow, green, white on black. The yellow Hibiscus is Hawaii state flower. 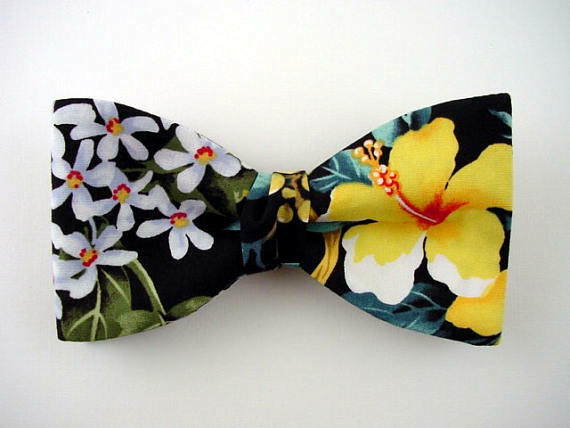 Pictorial cotton bow tie with original tropic design. A great choice for a sunny day or a special event.